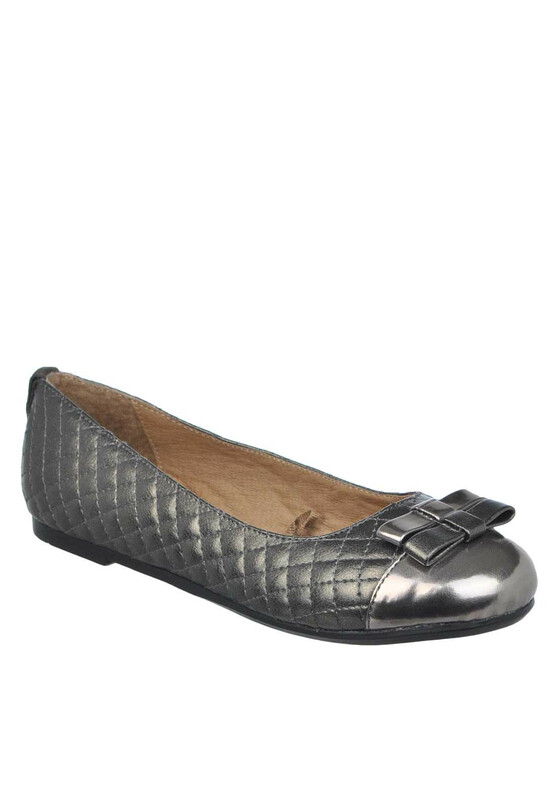 Mayoral presents these stunning metallic quilted pumps in pewter. Featuring a shiny patent toe, a double bow on the toe and a cushioned leather insole. A pretty pair that will look great with jeans or dresses.